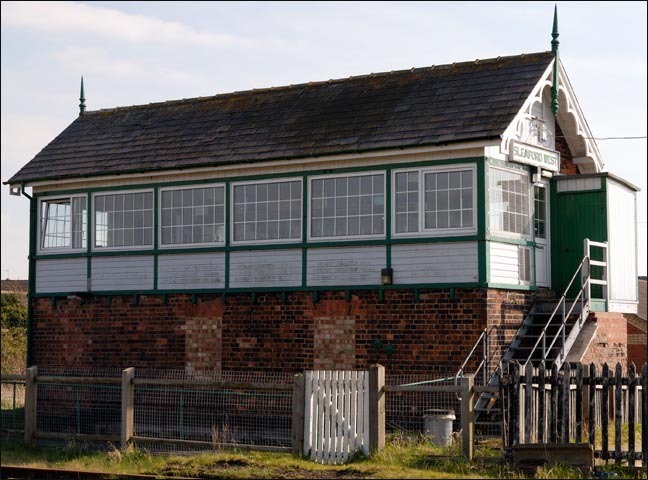 Sleaford West signal box is on the line from Nottingham to Boston and Skegness in the town of Sleaford. It is at the western end of Sleaford station. Passenger trains between Peterborough and Lincoln leave the Great Eastern joint line at Sleaford South Junction to call at Sleaford station, be for then returning to the Great Eastern joint line via Sleaford West Junction and then Sleaford North Junction. 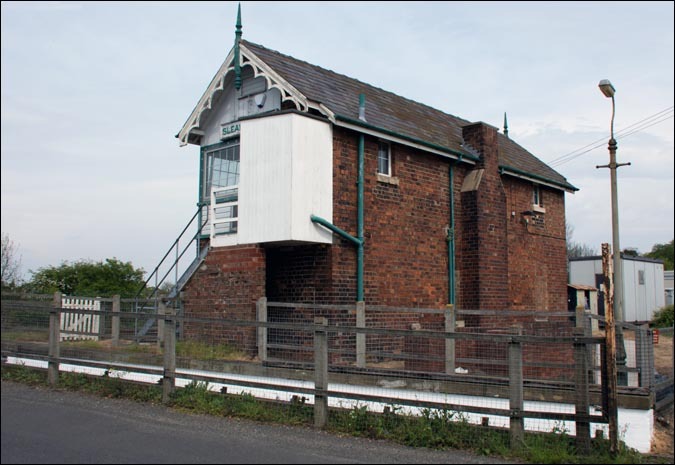 Sleaford West signal box is on the line from Nottingham to Boston in the town of Sleaford. It is at the western end of Sleaford station. Sleaford West signal box from the rear in 2014. There is a pedestrain underpass (painted white) goes under the railway here. The level crosing gates are on one side only of the road which is a single carriageway over the crossing. The gates are bigger than the opening. Most pedestrains use the pedestrain underpass even when the gates are open as there is little room for pedestrains when cars are using the crossing. The gates are opened from the box. 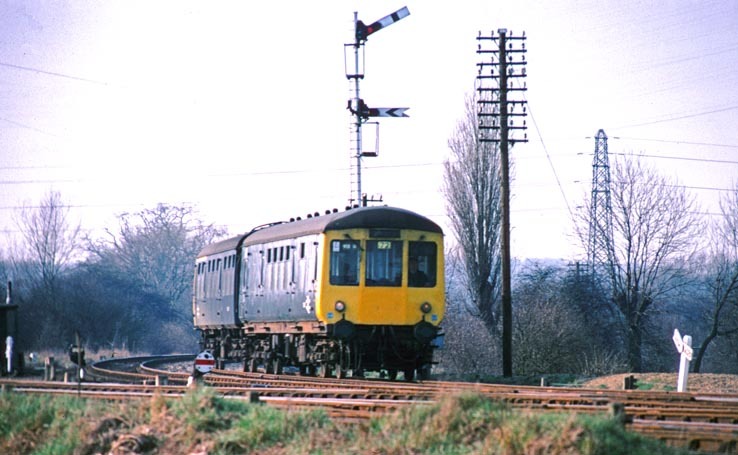 A two car DMU coming from Lincoln at the Sleaford West Junction in BR days. The line to Nottingham goes of to the left.